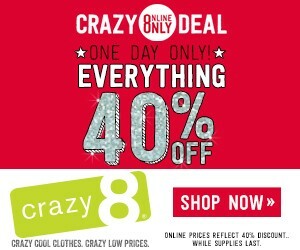 Crazy8.com: One Day Only!! 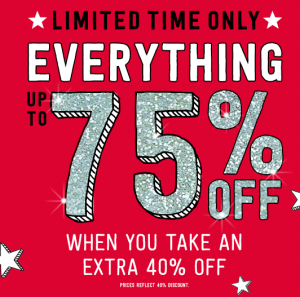 40% off Everything Sitewide!! 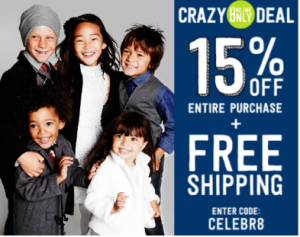 Crazy8.com: FREE Shipping + up to 75% off!!! 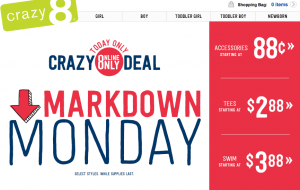 Crazy8.com: *HOT* $.88 Sale!!! TONS of Clearance!! 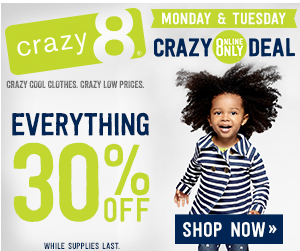 Crazy8.com: FREE Shipping PLUS an Additional 15% off!!! 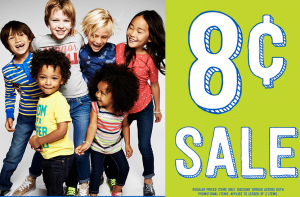 Great Deals on Children’s Clothes! 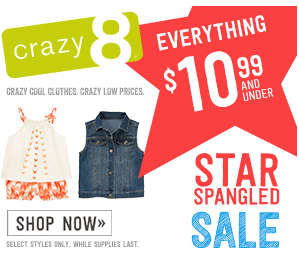 Crazy 8 Star Spangled Sale: Everything $10.99 & under!!! 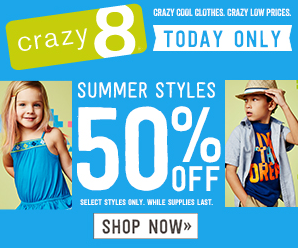 Crazy 8: 50% off Select Summer Styles!! 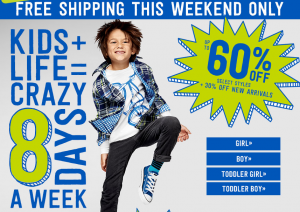 Plus ANOTHER 20% off + FREE shipping?! Great Dresses, Rompers, Shorts + More!